a more formal hedge and can he used for topicary. 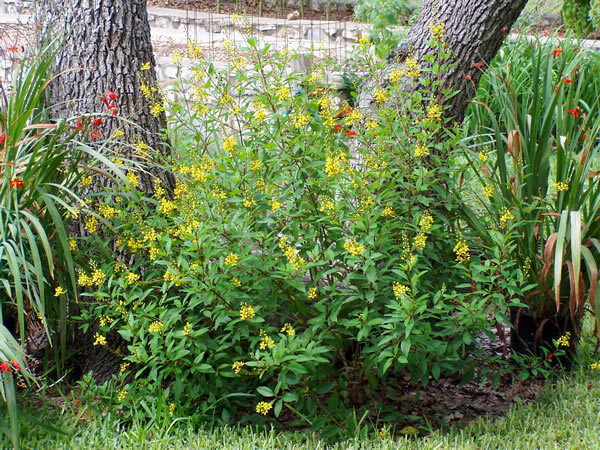 but some flowers will be trimmed of at each pruning. Sheared plants often thin out at the bottom. To help prevent this, keep the bottom of a hedge slightly wider than the top to allow sunlight to reach the lower foliage. Full sun is needed for best apperrance and flowering but Thryallis can tolerate some shade. 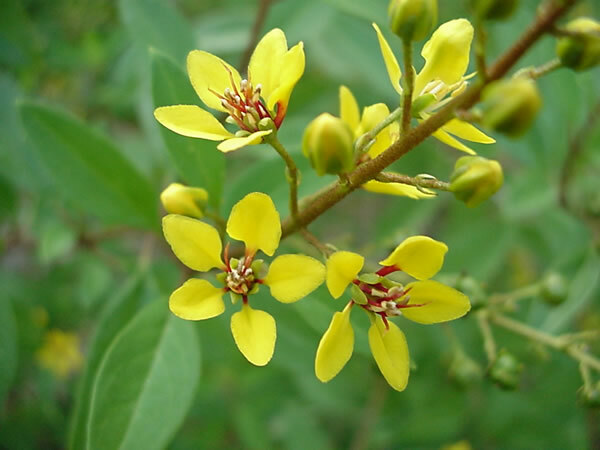 Flowering may be sparser without a full day of sun. 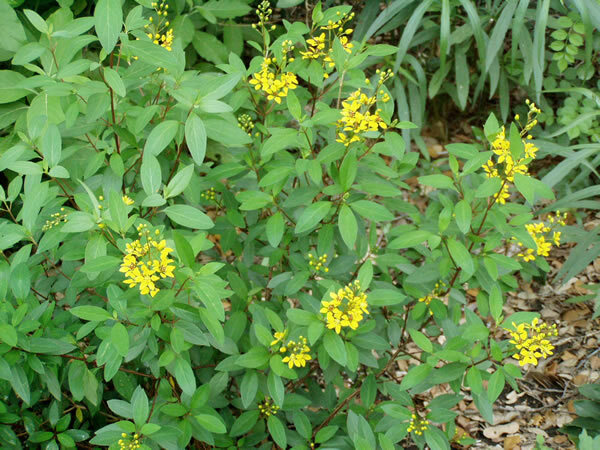 Plant three to five feet apart in shrub border or in any mass planting. Plants are killed to the ground at about 25-degrees F. but quickly regrow in the spring in USDA hardiness Zones 8b and 9. Thryallis is propagated by seeds, sown while still green, or by tender softwood cuttings in summer. 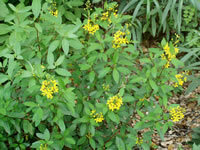 Seedlings will bloom when one-foot-tall and six-months-old. 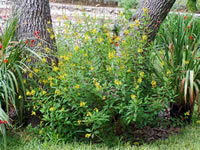 Thryallis is pest-free, only occasionally being bothered by caterpillars and mites. DEER WILL NOT EAT THRYALLIS.